One of the very nice new features of iOS 5 from Apple is that GameCenter will handle all of the mechanics and hosting for multiplayer turn based games. This creates an opportunity to build a very feature-rich multiplayer game without a lot of infrastructure costs. Accordingly we’re going to design and develop a 3d turn based space combat game for the iPhone and iPad with realistic physics. The game will be ad-supported and free to download and play. We will release rapid iterations and add features as we go…. 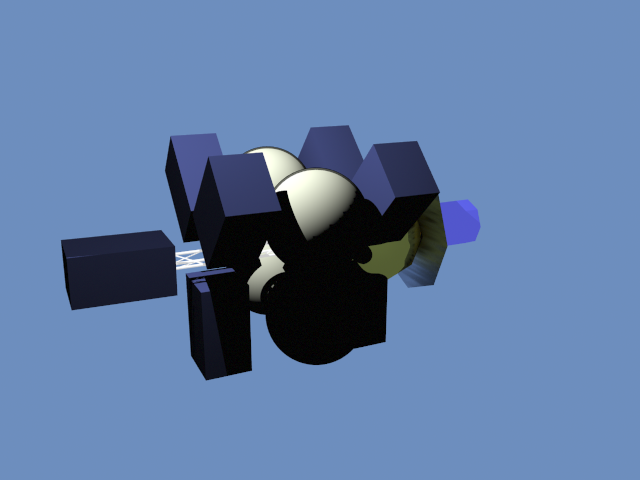 Using iSGL3D for the 3d graphics. Weapons include – gamma ray lasers, missiles, and kinetic launchers. 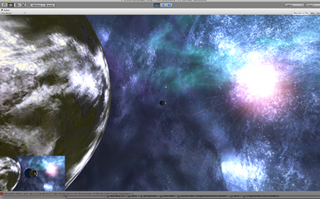 Terrain – terran planets, moons, asteroid fields, ring systems, dust and debris clouds. Working title for the game is Torchships. If you’d like to help beta-test Torchships then please sign up at our TestFlight page – you will need an iPad, iPhone, or next generation iTouch to participate.